Unable to Set Up. There was a problem setting up biometric authentication on this device. Please try again later. After you try each step below, please check to see if your problem is fixed. 1-On your iPhone or iPad, go to Settings > Face ID & Passcode, and turn off “iTunes and App Store”. Wait a few seconds and then turn it on, you will have to enter your Apple ID and password. 2-Make sure that your iPhone or iPad is running the latest version of iOS. You can update your device easily. Simply go to Settings > General > Software Update. And if there is an update available, tap Download and Install. If you can’t install the update, see this article. Press and hold the Power button (side button / on-off button), until the Apple logo appears and your device restarts. 4-It is possible that you may have changed your Apple ID username and password. You will have to enter your new Apple ID password to access Apple features and services including Face ID and iTunes, App Store. On your device go to Settings > [your name] > iTunes & App Store. if you are signed out, sign in using your new Apple ID password and if you are signed in with your old Apple ID password, first sign out and then sign in. 5– You may want to set up an alternate appearance. Tap Settings > Face ID & Passcode (you may have to enter your passcode) and then tap “Set Up an Alternate Appearance”. And follow the instructions. 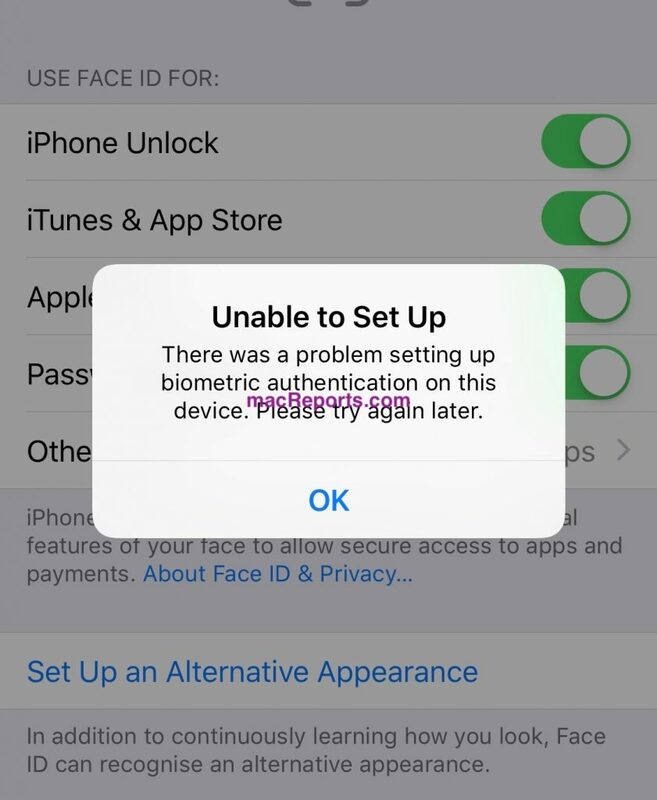 6-You can reset Face ID and then set up again. To do this, Settings > Face ID & Passcode (you may have to enter your passcode) and tap Reset Face ID. Now the same button will say “Set Up Face ID”. Tap Set Up Face ID and follow the instructions. You may have to enter your Apple ID password, if asked, enter it. And make sure that all info is accurate. And there is nothing missing. If you can’t solve your problem, you may want to take your device to an Apple Retail Store or contact Apple Support.